Summer is finally here and the humidity for me lately isn't fun. Having this hormones while you want to enjoy the Summer is something I would like to do, however I just can't resist the feeling at all. What other things I do to cool off myself from the humidity aside from staying in our living room more often is to ensure I have glass of cold beverage with me to drink. Going back and forth in the kitchen with few stairs to walk in sometimes just annoying, I know I've been venting with it recently too. If only I could have a freezer right next to me all the time it would be much easier for me to get an ice cube for my drink. The usual ice molders we have is those small squares that sometimes won't last long, however using the ice balls molds for your drinks is something you should try. 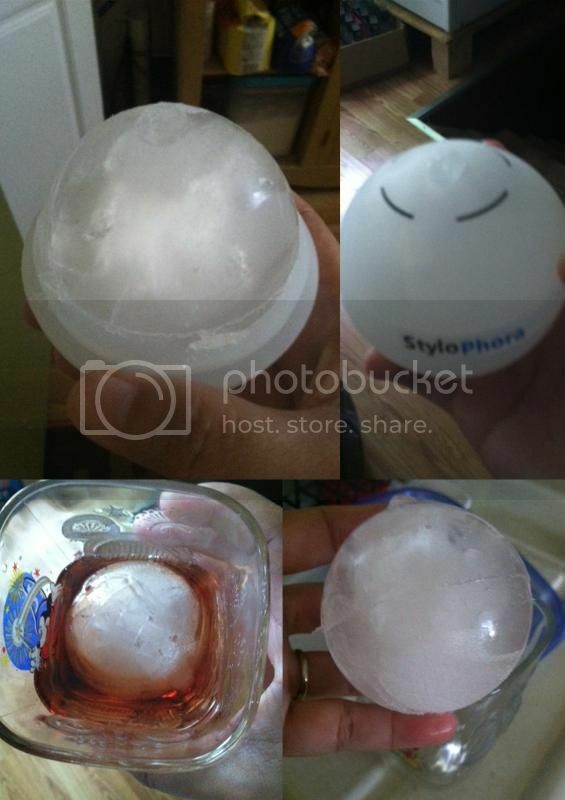 I have 3 Ice Balls molders from StyloPhora for a review and the minute I saw the product, I cannot wait to try it. Freezing time for the balls to be fully iced is within 4-6 hours. Not long enough to freeze in our freezer before I get run out of a cold ice. And yes, it takes longer for the ice balls to melt in my glass and I can enjoy the cold drink while it last.